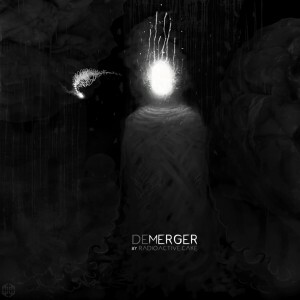 deMerger is release #60 from Glitchy.Tonic and a sequel to Merger, the latest album from label boss Radioactive.Cake, which consisted of remixes only. This release keeps the vibe and the heaviness of the last album but gets a little wilder at times and offers more “original” material from the man himself plus a remix of Fagin’s Reject, one of his dearest fellow producers. This comes with with a lot of drive and rhythm and is a great “dance force”. Artwork done by Aerozopher. Mastered at Anti-Logic, Berlin. MP3 Download | FLAC Download | WAV Download · Download count: 14,196. This is a great RC release again ! Especially like the first track with so many layers and subtle little details. All 3 tracks are of course very very well done. Cake baba ji , loved talking with your music. Brilliant. Lovely album !! Thanks for them sounds!! booM! Still #1 till today to me!